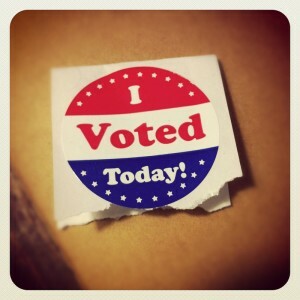 There are lots of people posting pictures of themselves voting today – including pictures of their marked ballots. Bad idea. California Elections Code states: “After the ballot is marked, a voter shall not show it to any person in such a way as to reveal its contents.” That means that posting a picture of your marked ballot is against the law. If you’re asking yourself why this is, Rick Hasen, an election law expert at the University of California, Irvine explains, “Hard as it is to believe, before the secret ballot there was a lot more vote buying and we don’t want more of that now.” Basically the state is worried that people will sell their vote and take a picture of their ballot as proof. However the concern is only over marked ballots so taking a picture of your ballot before you vote shouldn’t be a problem.